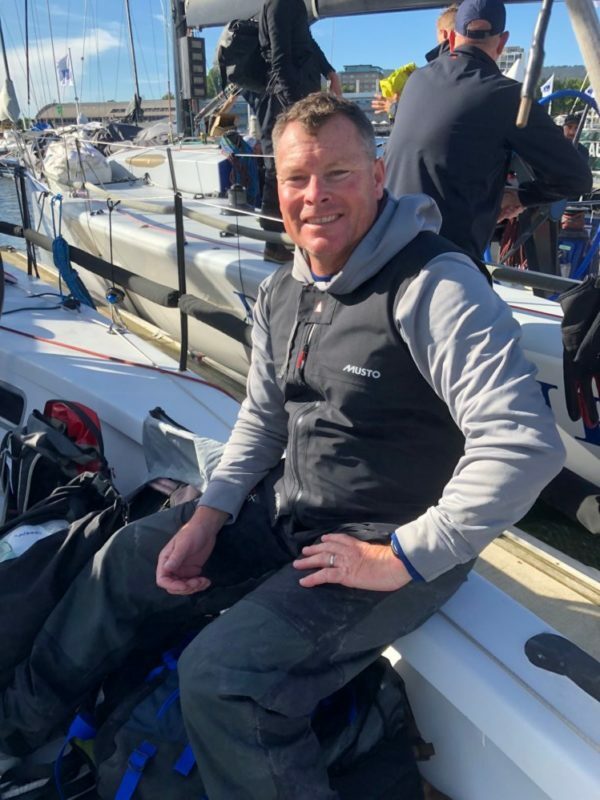 Scott “Gus” Ward, of Hollywood, Md., recently competed in one of the world’s top yacht races with an all-Australian crew. While many people spend the holidays with family and friends, Scott “Gus” Ward checked a bucket-list item by racing in one of the world’s most prestigious yacht races. 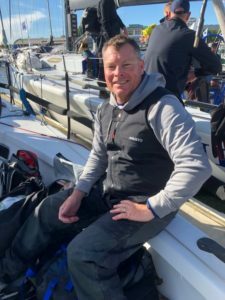 Ward was invited to be a watch captain and helmsman on the TP52 KOA, a 52-foot, all-carbon fiber Grand Prix-style sailboat in the Rolex Sydney Hobart Yacht Race, which kicked off on Boxing Day, Dec. 26, from Sydney Harbor, Australia. Ward’s crew joined 85 other boats for the 628-nautical mile race through one of the largest bodies of water in the world, finishing in three days, 16 hours and 52 minutes. The team placed 16th overall and seventh in their division. He has been racing sailboats for 43 years at the world and national championship professional level and is entering his seventh year as a varsity offshore sailing team (VOST) coach for the U.S. Naval Academy. He said that was one of the reasons he was asked to participate. Ward was also the only U.S.-born crew member of the all-Australian team. Ward said he would love to do it again, but next on his bucket list is the Fastnet race. Ward is also the owner and skipper of the Crocodile, a 50-foot monohull sailing yacht, in Southern Maryland. He and his team have been racing Crocodile since 2011, and campaign for 5-6 races per year in offshore events on the East coast. The first team race of the season will be the Down the Bay in May. Ward, an AVIAN employee and former Marine Harrier pilot, is the operations and acquisition deputy for Navy and Marine Corps Small Tactical Unmanned Aircraft Systems Program Office (PMA-263) at Naval Air Station Patuxent River, Maryland. 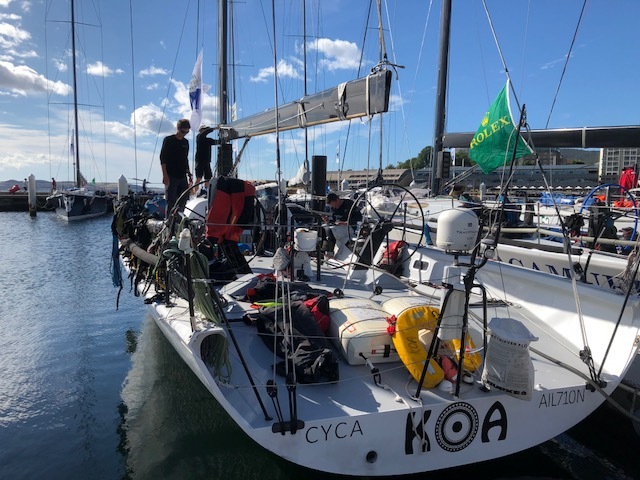 The KOA, a 52-foot all-carbon fiber boat that sailed in the Rolex Sydney Hobart yacht race, Dec 26-29 in the Southern Ocean, was helmed by Scott “Gus” Ward of Hollywood, Md. This entry was posted on January 29, 2019 at 9:19 pm and is filed under All News, Community, County, Department of Defense, Good News, More News, St. Mary's News, z 600X120 Top Ad Bottom, z 600X120 Top Ad Top. You can follow any responses to this entry through the RSS 2.0 feed.